Nice, don't want to trade for a 130i plus cash? 😅 Mechanical warranty gone? What Rag Top said. Did it recently after two years of research and searching. Very pleased I did. Ive heard talk of the Y5DDC plugs coming apart, but never seen it happen. Very curious how it came loose, is the crush washer on the plug crushed? There is an NGK alternative, but i dont recall the PN. It was also damn near impossible to find in NZ without being a horrific price, so i went with the Bosch too. Depends on how much work he needs to do, but mine cost $250. Have spoken to a couple of people recent who have drilled the spindles and run heim joints and spacers to adjust the bumpsteer. Need to be drilled otherwise need the conical pins machined. Beware of buying the pre-made kits as they may not have enough adjustability, like the ones I bought. How to reprogram Jap BMW radio to NZ frequencies..
Hi Ravnit, This one has the normal radio, not I Drive. All finished except the reverse light wiring which will be done when i can find a low OBC wiring diagram. The new shifter setup using the shorter E60 lever and ZHP knob is much improved. The stock setup had the problems of being to tall for me which meant i couldn't relax my arm on the rest perpendicular to the knob. Truck throw length is gone also but shifting is slightly more notchy as expected, still very livable. 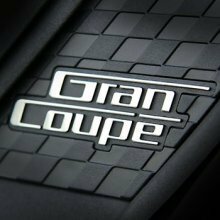 Throttle response and off the line performance is day and night compared to the old auto, but that's party due to my old torque converter slipping a low revs. I'm expecting it to get even easier to drive and less fuel once i get used to the clutch and its fully bedded in. Counting down the k's till i can really give it a proper work and make it feel like it was worth the ~3.5k it cost haha. On a positive note the loose light switch was bugging me so swapped it out for a good condition 2nd hand one. Undo one screw underneath and it will pop out. Switch action is now tight and positive! For $10 easy win. 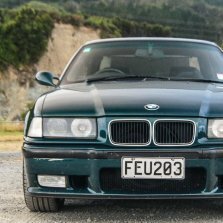 Hey Mark M3 handled really well although coming back via the east cost between Wairoa and Gisborne the road is in terrible condition! 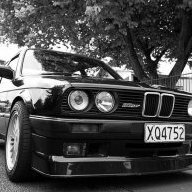 Drives differently to the E30 and not as forgiving with poor driver input. Obviously your never too old to learn something lol. Started missing around Gisborne and progressively got worse. Thankfully I made home but was sounding pretty rough. Was thinking it was a coil and did the test unplugging the leads listening to the change in sound. Located it to cylinder 5 then swapped coils over and it stayed with 5 so obviously a spark plug. So went to take it out and it wasn’t in tight! Took it out to find.. yup missing it’s prongs! Not sure what to do. I could try and putting a small magnet down into the cylinder while it’s at tdc and see if there’s anything to fish out. Will be replacing all the spark plugs for sure and torquing them down. How did the drive go? bump, price dropped again. New 1 year rego. Replacement O rings for the stock coolant hoses made of Viton 75 and Silicon 70 I saw kits being put together overseas and decided to do similar for those of us in NZ so I bulk purchased quite a lot of these to make it economical! $10 for all 3 on the left. Has anyone had experience retrofitting the Speed Limit Information into their cars? I have an F15 with HUD and the surround view cameras, and from what I've read this should be possible with a new FSC and some coding, apparently some dealers even do it. No jap import LCI 330i's (in either body style) so would have to be from the UK. What model, all the 335s seem to be leather? Have a look on TM now. Nearly all the Motorsports are cloth. Hey mate, yeah there's a guide online that mentioned the rivets so I've ordered those too. Yeah thought so, might just give it a shot myself and if it doesn't work out take it off! democracy is a farce. Thanos was right.